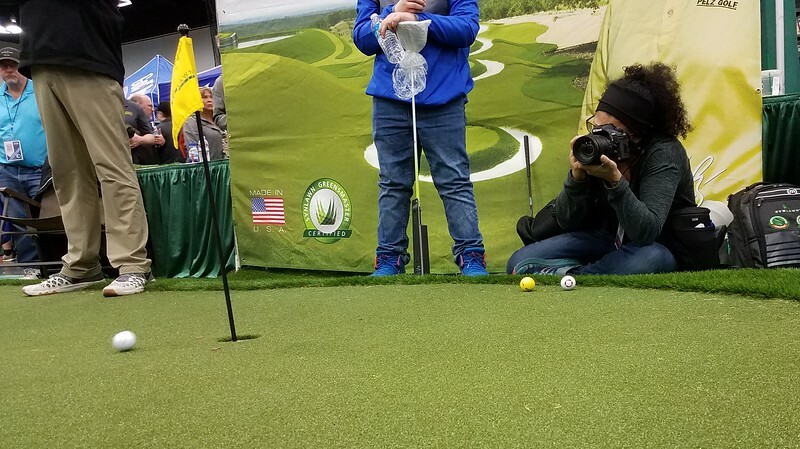 (Feb 23, 2019) Melissa Toledo in action shooting Event Photography for the Portland Golf Show at the Oregon Convention Center. Image captured by Brian Votaw. Creativity has always been there for me. Be it through music or art, my road to becoming a photographer included playing the cello, learning how to fence, working on an aircraft carrier, becoming a licensed scuba diver, being in an electronica band, working in a kennel, and becoming a karaoke singer. My actual professional career began in the Bronx, in the small office of my college newspaper where I learned desktop publishing and later became the Editor-in-Chief. Since then I’ve been an Art Director, Production Artist and Studio Manager and have worked at award-winning agencies like DDB, Razorfish and Liquid Agency. Through it all, I always had a camera and have considered myself to be a documentarian. And so, when it came time to put on another hat, I knew I wanted to become a Photographer. I bring over 20 years of in-depth creative knowledge to the table. I intimately know how images are selected, processed and used in campaigns. I focus on the task at hand and deliver quality professional imagery to my clients. I’m a third generation New Yorker, now based out of Portland since 2005. I share my home with my family, two kitties, and some cool hummingbirds. Thank you for stopping by and for your interest in shooting with me. Giving back is a humbling experience. On several occasions I've been invited to speak about my photography experience with students at the University of Oregon, Benson High School and Black Lives Matter. • PORTLAND MEDIA DAY LECTURE, March 2019 - "Event Photographer Melissa Toledo." University of Oregon. Portland, OR. • PORTLAND MEDIA DAY LECTURE, 2018 - "Taking Better Pictures with Event Photographer Melissa Toledo." University of Oregon. Portland, OR. • PHOTOGRAPHY LECTURE March 2018 (below images) - Photographer Melissa Toledo speaks with student activists about the importance of making every shot count and gives pointers on how to help make that happen. Portland, OR. Invited by Social Activist Teressa Raiford. • PHOTOGRAPHY MASTER CLASS 2017 - "Career Exploration and Creative Insights with Photographer Melissa Toledo." Benson Polytechnic H.S. / LÁMP:ARA. Portland, OR. • LATINO SERIES FESTIVAL 2016 - "Career Exploration Workshop with Newyorican Photographer Melissa Toledo." Benson Polytechnic H.S. / LÁMP:ARA. Portland, OR. • BEST OF 2015: Toledo Images. Awarded by Thumbtack. • TOP 3 PDX PHOTOGRAPHERS for 2013. Nominated by RAW: natural born artists.